I’m a member of the board of directors and the sound team for The Black Rose Acoustic Society (TBRAS), a small non-profit organization formed in 1994 in Colorado Springs, CO.
Local musicians created the organization to foster traditional music by offering concerts, classes, and jams for roots musicians at all levels, with TBRAS serving as the home for bluegrass, folk, Americana, Gypsy swing, Celtic and alternative acoustic music in the Pikes Peak region. Our concerts are held in the community center in the Black Forest, an area just north of Colorado Springs. 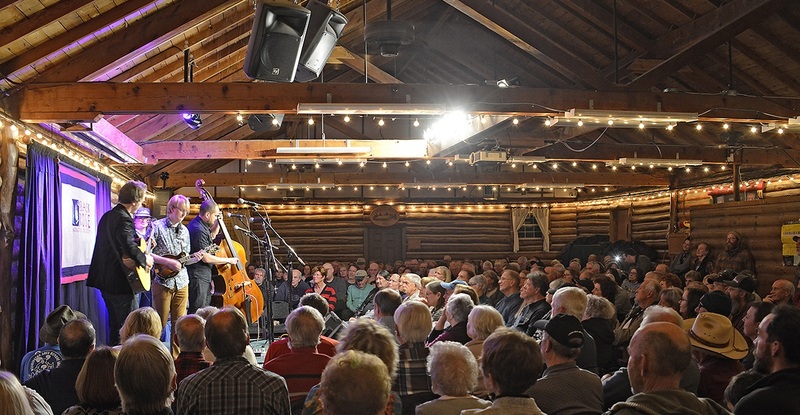 On alternate Friday evenings, fans fill the 220-person hall to experience traditional music in the warm ambiance of a great-sounding log building constructed in 1929. Outstanding national and regional musicians regularly grace our stage as featured acts. We also offer two opener slots to amateurs hoping to develop their stagecraft in front of our supportive audiences. Our series is so popular with performers that we’re booked well over a year in advance. I have a lifelong interest and background in electronics and audio, and I earned an Electrical Engineering degree at California Polytechnic State University (Cal Poly) in the late 1960s, just when the “LA Sound” was reaching its peak in pop music. As an active Audio Engineering Society (AES) student member, I got the opportunity to spend lots of time absorbing the gear and recording techniques in major studios in the Los Angeles area. After graduation, an offer to work as a studio maintenance tech at Capitol Records came my way, but I chose another path toward the computer industry, which was exploding at the time. By the mid-1980s, it was time for a break from the corporate world, and I found myself in Colorado working for Vail Associates as a ski patrolman for five seasons. Along the way, I got hooked on live sound as a stagehand at concerts for artists such as Delbert McClinton, Bonnie Raitt, and Stevie Nicks, and I helped a friend configure a large system while working for his startup sound company in the valley. (Having used “cans” and ear plugs for most of my life in loud environments, I’m thankful to still have a relatively un-desecrated set of ears for someone so far past his freshness date.) A move back to Colorado Springs in 1989 set me on a path to become involved with TBRAS. I took a position with Hewlett Packard in the Springs, where one of my coworkers was Charlie Hall, a revered local musician and a TBRAS co-founder. I wanted to get involved at some level, offering to improve the original sound system, which led to me funding a 20-channel Mackie mixer as part of the upgrade. That simple analog system served us for almost 20 years afterward. Grant Grovenburg came aboard as the main sound engineer around 1997, and he continues today to herd the small group of volunteers that form our sound team. In addition to the main shows in the Black Forest, we developed a concert series in a venue in downtown Colorado Springs. For a couple of years, I mixed front of house there and evolved the sound system with a new console, new main loudspeakers, and outboard graphic EQ. Working in a room with three walls of massive glass windows gave me a real grounding in “defensive mixing.” You really can’t appreciate the challenge of fighting feedback until you mix in a room with glass walls! Several years ago we received a donation that was enough to upgrade our mains in the Black Forest venue. With the help of Brian May of Prosound, a local vendor, we auditioned a number of 15-inch, 2-way loudspeakers, ultimately choosing Electro-Voice ZX4s and installing four of them in a mono cluster above and in front of the stage area.